In addition to our restaurant menu, Europa offers specialized catering choices. Everything from our very popular Caponatina to our Frittura di Pesce is available for catering. 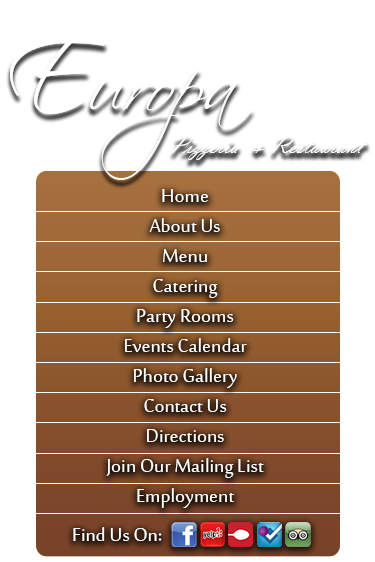 Give Europa a call and let us cater your next event! Holidays or ANY function you desire!